Today’s gift is a fun collaboration between Roots and Mary Maxim: the Mary Maxim Scarf Knit Kit. Inside is everything you need to make your very own Roots infinity scarf (yarn, needles, pattern and instructions, as well as a cute cotton tote!). What I love about this as a gift for someone, is that you’re giving them an experience, whether it’s learning something new, or doing something they already enjoy. I also love that the outcome is a modern, trendy scarf, similar to those in Roots Cabin collection. Pair it with a cute mug, some hot chocolate, and a scented candle, and you’re giving someone the perfect winter-night in. A running joke with my boyfriend is that I “fake online shop”: I sometimes browse a website, put all of my wishlist items in my cart, and then walk away because the shipping charges are outrageous. So, one of the things I instantly loved when introduced to a Canadian e-commerce retail site, This Counts, was that they offer free shipping on all items (AND all listed prices include taxes!). What I love even more than the free shipping, is what the site stands for: giving back. A portion of the sale of every single item goes to a charity supported by the retailer: with every purchase you make, you’re changing and saving lives around the world. And, if you’re curious to see which charity the retailer supports, just click on the item to find out! On the This Counts site, you can easily share items, and create boards to keep track of your wishlists (which you’ll want to do, as the site continues to grow everyday!). You can shop by store, by item, or by collection. There’s something to be found for everyone: from electronics, to men’s and women’s clothing and accessories, to home decor. They have a wide variety of pieces ranging from classic to super unique, and their prices are extremely reasonable. Curious to know what’s on my wishlist? I thought you’d never ask (keep reading for a giveaway and promo code!). Let’s be honest, sometimes navigating the inside of our purses can seem….puzzling. 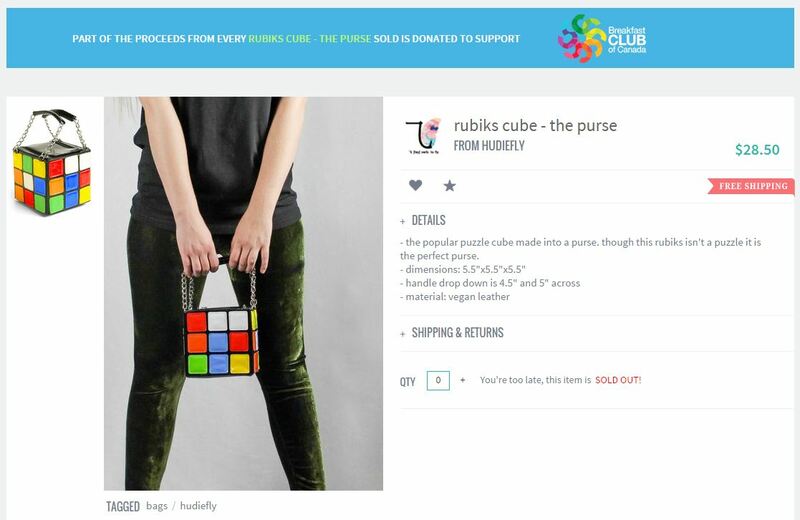 How awesome is this Rubiks Cube Purse (supporting the Breakfast Club of Canada)!? I’ve mentioned before that I’m in love with anything palm-trees or flamingos. 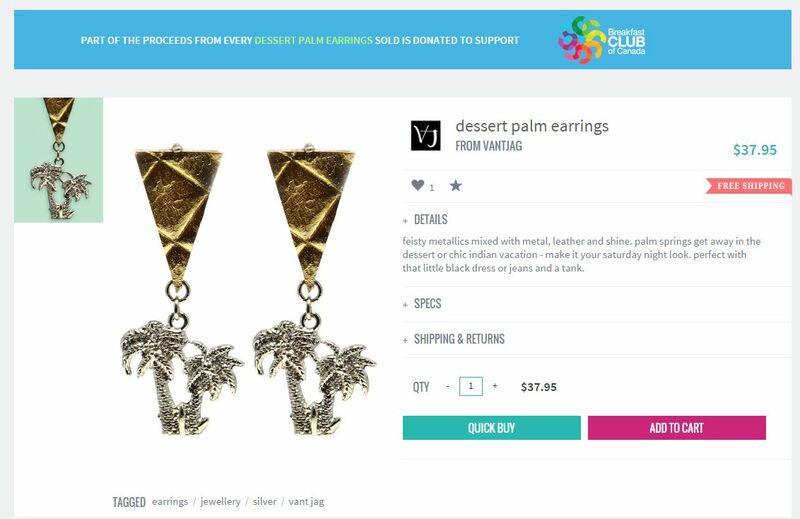 These Dessert Palm Earrings (supporting the Breakfast Club of Canada) are no exception! Is there anyone who doesn’t love Ryan Gosling (who just happens to be from my hometown)? 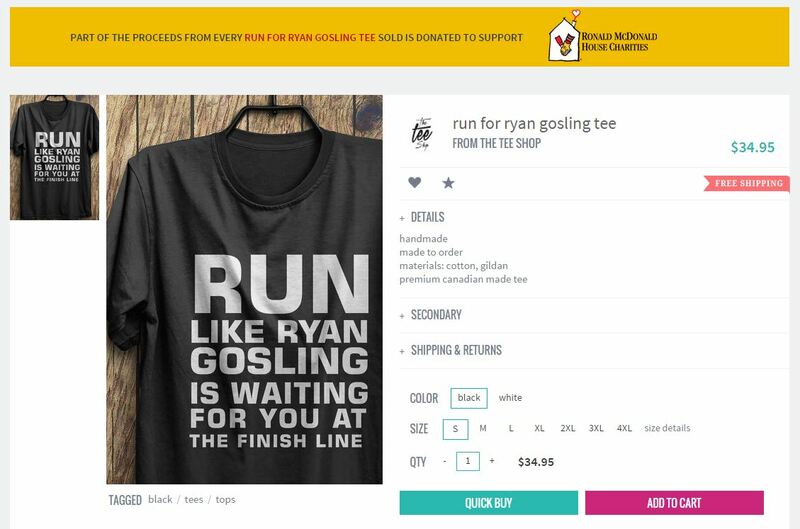 I’m picturing this “Run for Ryan Gosling Tee” (supporting Ronald McDonald House Charities) paired with a chic statement necklace (or some cozy sweats). 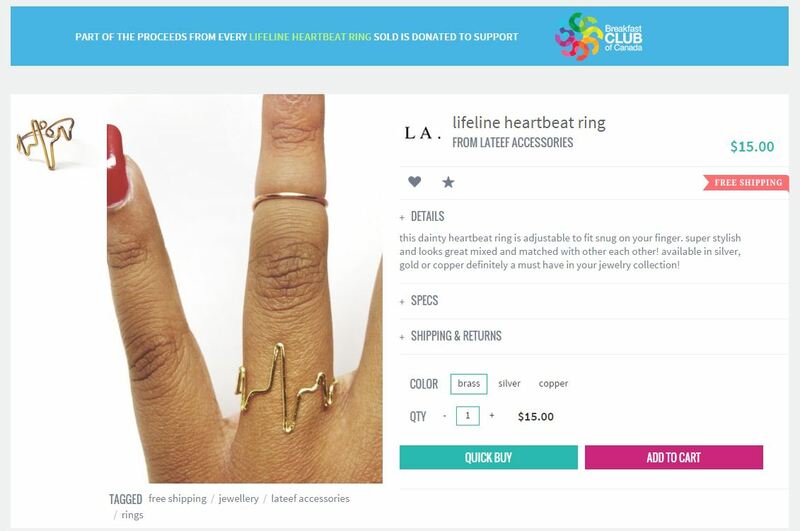 We’ve all seen the stereotypical heart-shaped ring, but how about this amazing “Lifeline Heartbeat Ring” (supporting the Breakfast Club of Canada)?! My heart races just looking at it. Don’t get me wrong, I love my iPad, but sometimes I just want to read a good old-fashioned hard copy book. 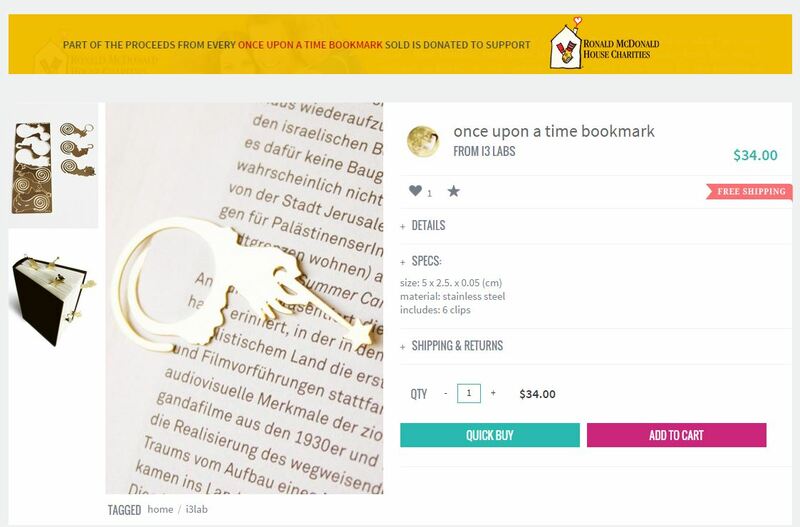 This “Once Upon a Time” bookmark set ensures you won’t lose your page, and is a gorgeous conversation piece. This Counts has generously offered to provide all WhatDidSheFind readers with 15% off sitewide! Just use promo code “SHEFOUND15″. And if you’re feeling lucky, why not enter to win a $50.00 credit to turn your wishlist into a reality!? This giveaway is open to Canadian residents only, and will close on July 5, 2015.